In July 2014 Robert Angeloni set in motion the NativityMiguel School of Scranton. Together with the Sisters, Servants of the Immaculate Heart of Mary and the Sisters of Christian Charity congregations, Bob believes in the NativityMiguel model which is dedicated to the economically disadvantaged and academically promising. Most recently, Bob served as Lead Project Manager of Maximus and was the President for Friendship House for over ten years. 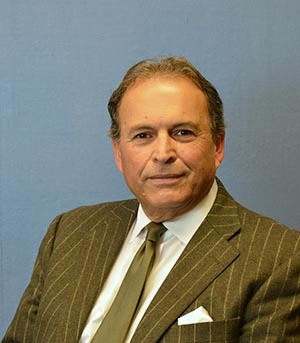 Bob earned a Master of Science degree in Public Administration from Marywood University and a Bachelor of Science degree in Political Science & Government from the University of Scranton. 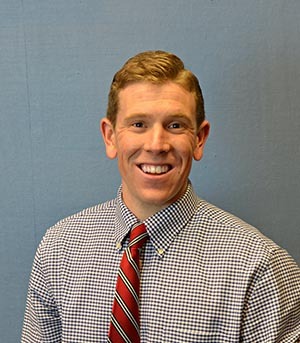 Prior to coming to NativityMiguel, Neil Cronin served as an administrator at Chapel Hill-Chauncy Hall, an independent boarding school in Waltham, Massachusetts, and as an English teacher at Wyoming Seminary and Bellefonte High School. He resides in Kingston with his wife and four children. Sister Maria Angeline Weiss, SCC, is the fifth grade teacher at NativityMiguel School of Scranton. 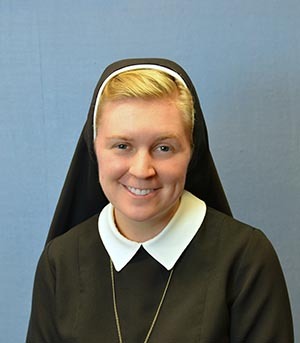 Sister Maria Angeline is fluent in Spanish and earned an Elementary Education degree from College of Saint Elizabeth and is NJ certified K-6, P-3, TSWD and PA certified in K-8. She has taught third grade at St. Elizabeth in Mendham, NJ and completed two summer mission trips to Uruguay and Argentina to catechize children in poor rural regions of Cordoba, Argentina. Sister’s goal is to teach elementary students in a faith based school setting. 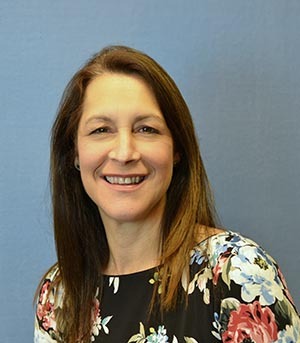 Carmela Smith oversees the Administration office, Social Media administrator, responsible for purchasing, grant writing, fundraising and is the 6k Race Director. Carmela earned a Master of Arts degree in Communication Arts from Marywood University and Bachelor of Arts in English - Writing from Wilkes University. She enjoys spending time with her husband and three children. In her spare time, she is a long-distance runner having completed several marathons and many half marathons. Nicole Polcino is the 6 and 7th grade English Language Arts and History teacher. 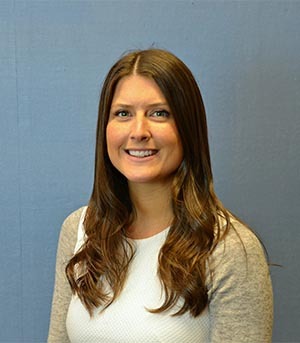 Miss Polcino is a graduate of The University of Scranton with a Master of Science degree in Reading Education and a Bachelor of Science in Middle Level Teacher Education. Prior to joining the NativityMiguel family, Miguel, Miss Polcino was an English teacher at Mother Teresa Regional Catholic School. Maria Russoniello is the Director of The Development Department. 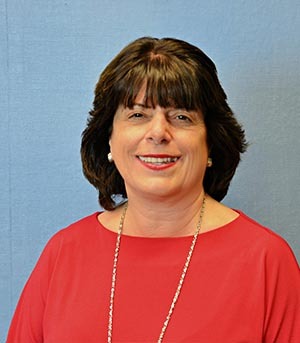 Maria recently retired from 30 years’ service to Penn State as the Director of Development. During her tenure she has raised over $22 million for Penn State Worthington Scranton. Gina Spohr joins the NativityMiguel staff as the Director of Graduate Support after volunteering as a teacher for the High School Seminar class for several months in early 2018. 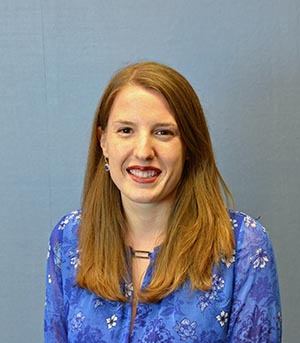 In addition to teaching the High School Seminar class, Miss Spohr is now helping NativityMiguel students and families explore and apply to college preparatory high schools in her new role. 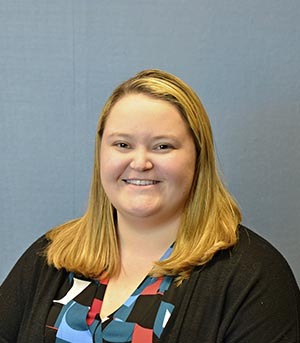 Miss Spohr holds a Bachelor of Science degree in Counseling and Human Services from the University of Scranton and is currently pursuing a Master of Science degree in School Counseling at her alma mater. Shelby Kresge is the 6th,7th,and 8th grade Math and Science teacher. Miss Kresge is a graduate of West Chester University with a Bachelors of Science in Middle Grades Education-Math, Science, and English/Language Arts and is currently furthering her education at Wilkes University to obtain a Master Degree in Special Education. She has previously taught 8th grade mathematics at Chester Community Charter School in Chester, Pennsylvania. Kyle Williams is happy to welcome all 6th grade students to his homeroom each morning. Mr. Williams teaches History to the 6th, 7th and 8th grade students. In addition, he is the Religion instructor for grades 6 and 7. Mr. Williams is a graduate of Saint Joseph’s University in Philadelphia. 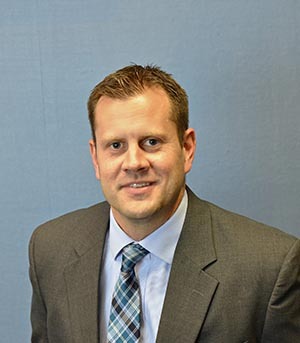 He obtained a Master of Arts degree in Teaching from Marywood University and is certified to teach Social Studies. After school, he enjoys running with the NativityMiguel cross country team and coaching 8th grade basketball at Our Lady of Peace School in Clarks Green.